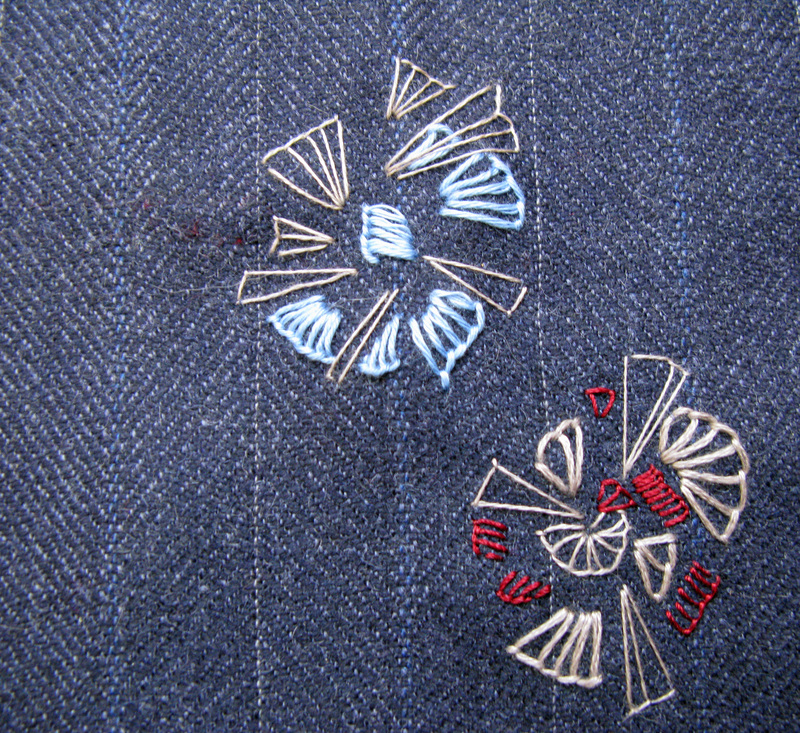 In both I looked at and drew waistcoats embroidered with silk floss satin stitch flowers of breathtaking beauty and skill. 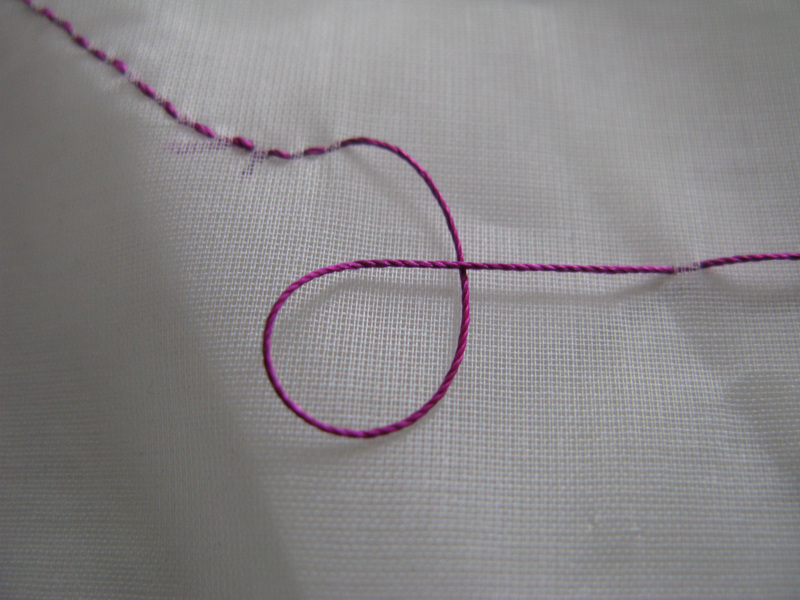 The middle piece – the energy of my frustration in unpicking a set of stitches full of mistakes and the subsequent delight in the thread – pulled, unravelled, frayed…. 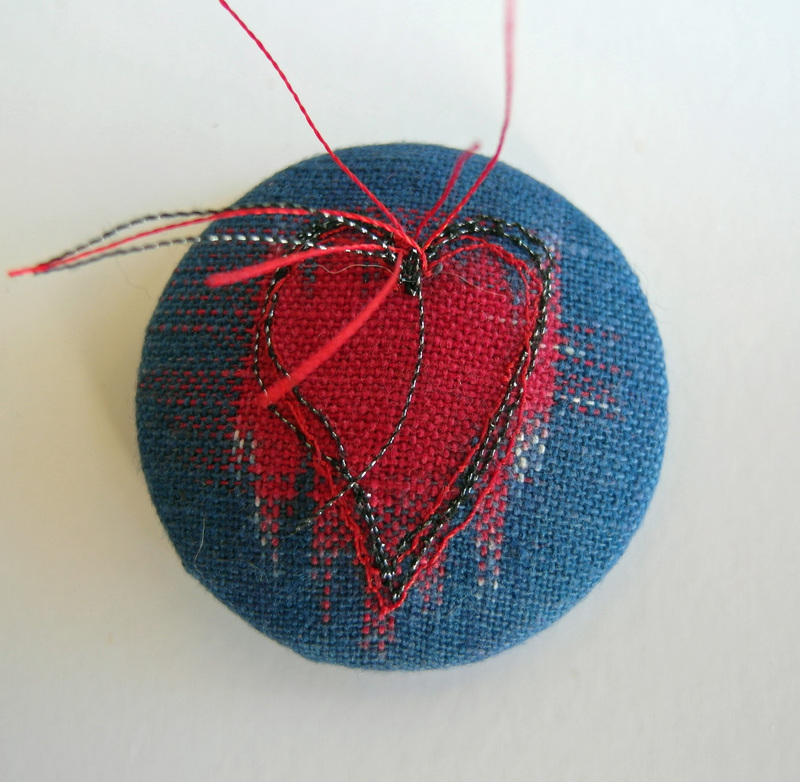 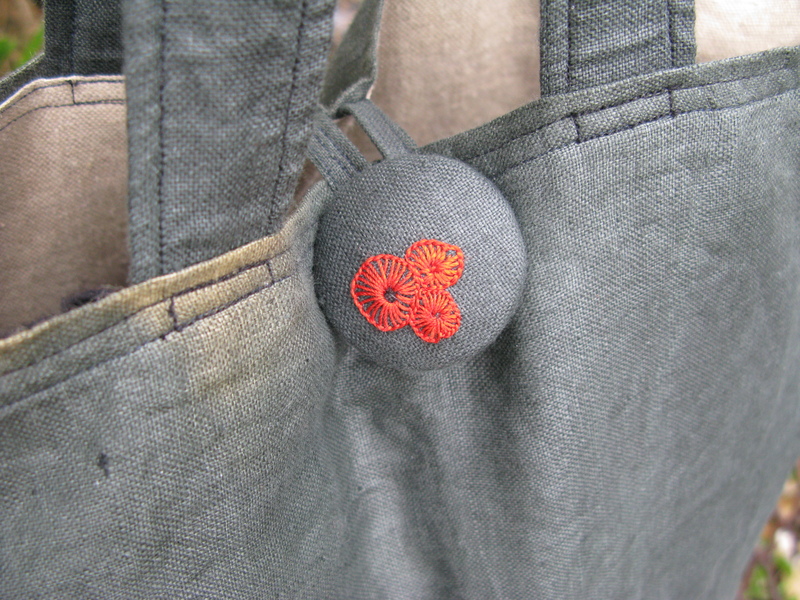 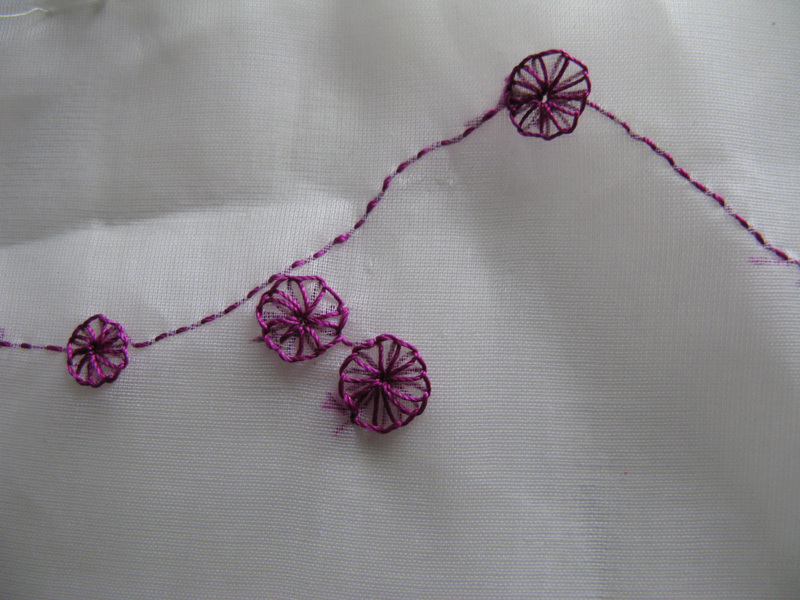 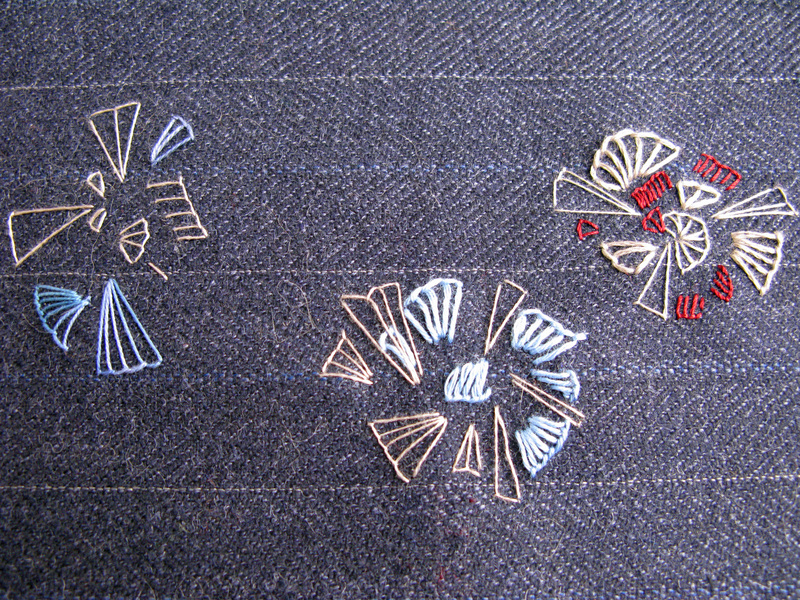 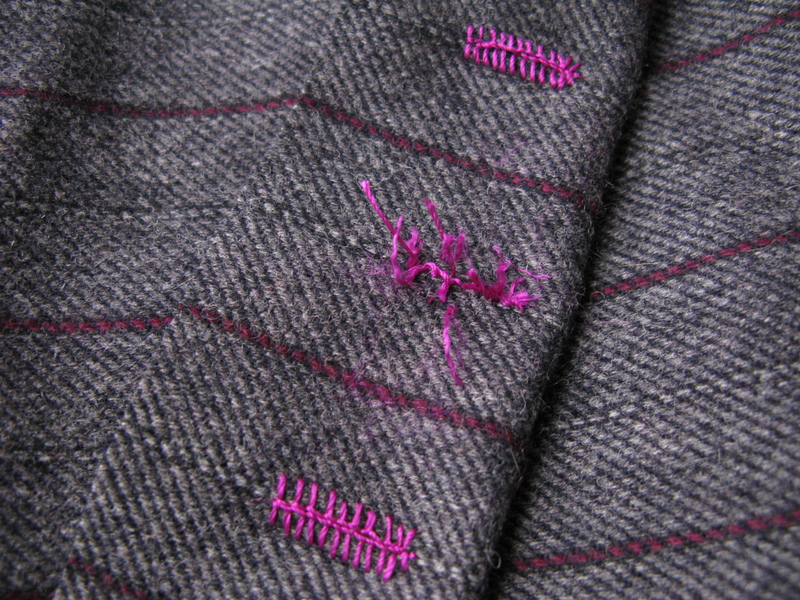 I have travelled between the tailor’s wool and a translucent fabric or tissue with the buttonhole stitch. 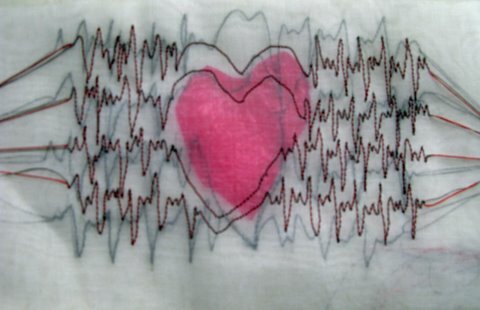 It confirms where I feel more naturally at ease. 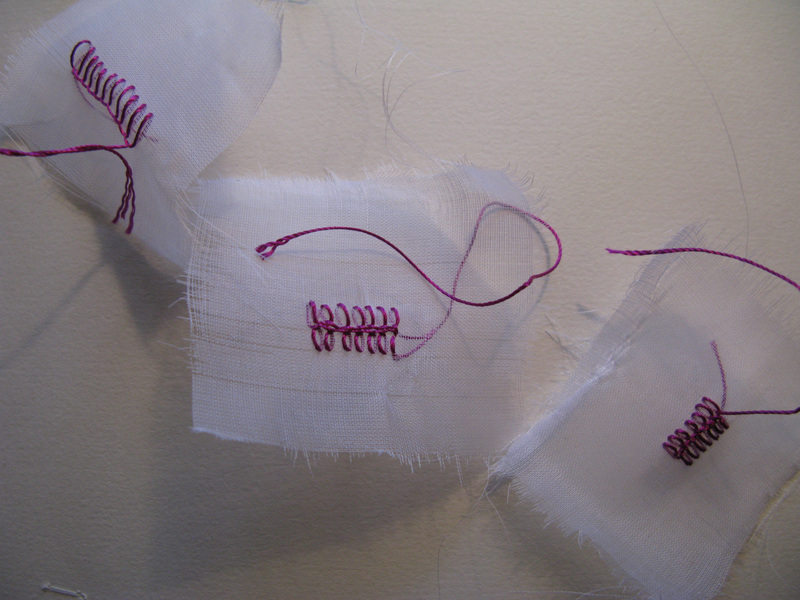 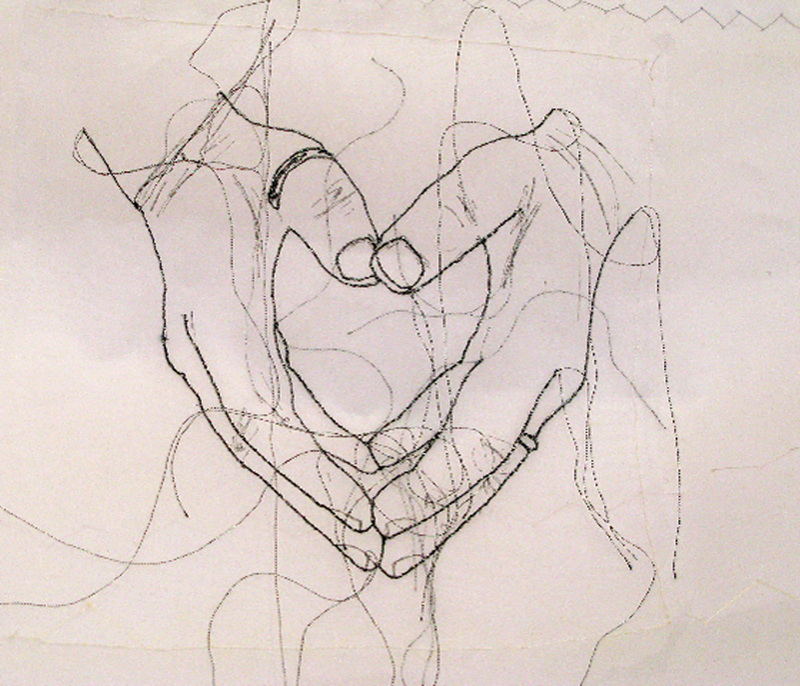 I have deepened a view of thread and stitch being integral to thinking – I think / I stitch – there is no separation – one flows with the other. 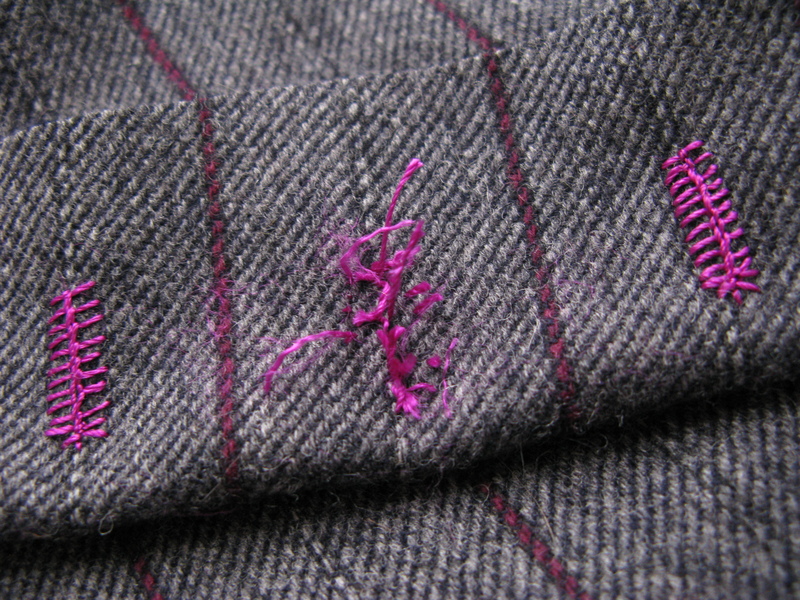 This week I will share work on the tailor’s wool suiting – the sketchbook is filled, overflowing – and I am selecting images to share at the exhibition, and which written reflection to record on audio.. hmm – much to be done!